When thinking about your wedding ceremony flowers, there are many factors to consider. The first, and most important consideration is that of tradition. There are so many beautiful wedding rituals that are rooted in one’s traditions, heritage, background and family history. 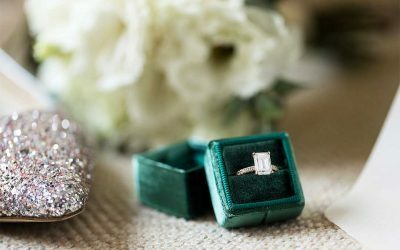 Think about you and your spouse-to-be and how these rituals may or may not play a role on your big day. And remember, the common thread in all wedding rituals is celebrating unity! Yay! You found us, and we're so glad you did! Please complete our Wedding Consultation Form which will immediately give us an overview of your floral needs and wishes. You will hear from us within 24 hours (usually way sooner) to get started! A traditional Jewish wedding structure, under which two people are married. The Chuppah represents a home with 4 poles and a cover over the top. With the walls being open on all sides, this represents hospitality to one’s guests. We have decorated chuppah’s in so many different ways from simple fabric draping with elegant floral tie backs, to fully covered top and legs with gorgeous blooms spilling to the floor. Similar to the chuppah, the arch also represents the home (or I like to see it as a threshold of a doorway) It’s origin is non-denominational so it can be transformed in any way imaginable. 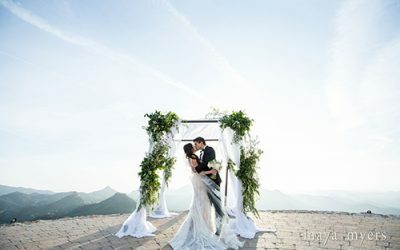 When an arch or arbor is outdoors, we love matching the florals to the natural landscape around it, as if it’s been standing there for years and years, and perfectly in bloom for a wedding. Weave in some of the colors chosen in your wedding palette to make it tie together beautifully. These are an amazing choice when you have a stunning backdrop, like an ocean view, mountain vistas, or beautiful gardens. Create a half circle of low florals around you to symbolize the alter, or bring in multi-height pedestal stands to hold striking statement florals on either side of you. Extra perks with this selection as they are easily reusable to carry over into the reception area after the “I Do’s”. Work with what you’ve got! We are so spoiled in Southern California with some of the most stunning outdoor spaces imaginable. If you feel like veering away from tradition, utilize a gorgeous Oak tree to be married under, where we can hang florals from above, or design a natural floral treatment meandering up the trunk of the tree as your alter’s backdrop. what personal flowers to get? I desperately needed beautiful flowers and a trustworthy company in a pinch!! Called at 10am, and the most BEAUTIFUL flowers were delivered by 12:30pm. Not only are the notes handwritten and the flowers designed just right, but the delivery updates were frequent. Can't wait to use again. I've been a fan of Lilla Bello since stumbling upon the beautiful shop in Bergamot Station a few years ago and following them on Instagram. I finally got to experience Toby's artistic grace and Tasha's friendly efficiency and organization through the process of planning my wedding flowers and decor over the past few months. Because it matters when planning events close to the heart, let me say that Toby is a wonderful human being in addition to being a very patient and intuitive planner. She has impeccable taste and was the sole reason my late afternoon, neutral-and-green toned beach ceremony looked as perfect as my jewel-toned evening, secret-garden, bohemian-chic reception on a Hollywood rooftop. All of the personal flowers, bouquets and boutonnières were simply bulletproof in design, color, and construction. They withstood hours at the beach and were still looking fresh several days later. The table arrangements were more beautiful than what I could have dreamed up on my own, and all within a very reasonable budget. I kept as many of them as I could after the big day, and was able to keep them in our home for nearly a week where they perfumed everything and helped us decompress after the wedding. 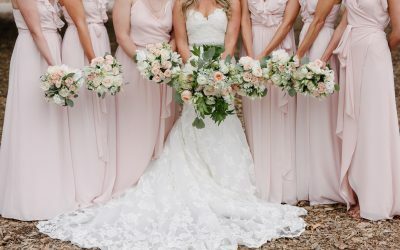 If you're at all on the fence, don't even think twice about going with Lilla Bello for any floral needs, large or small. I look forward to more beautiful arrangements for every occasion and no occasion at all. And if you can visit the shop, you may walk out with something unexpected to treasure, whether it's a little sculpture, a new vase, or a tiny succulent to grow.